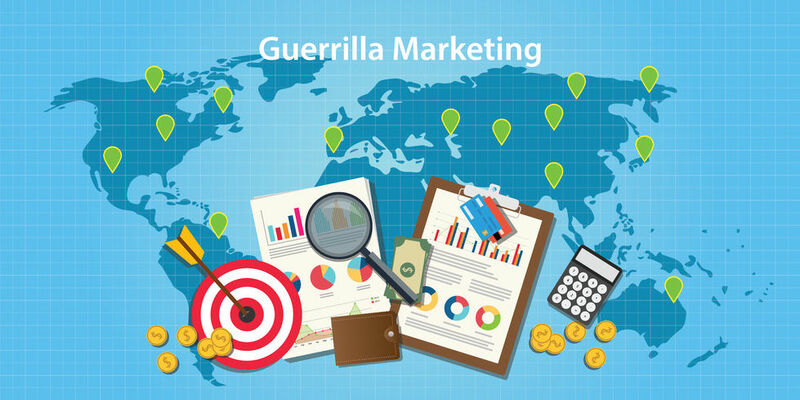 Guerrilla marketing has been gaining popularity in the last couple of years because it is has been an unconventional way of marketing a business. This type of marketing will not require any business owner to invest a lot of time and money because the only thing you will have to do is to be creative and imaginative in catching the attention of your target audience mostly by means of publicity stunt. The ultimate goal is to increase your brand’s visibility. Aside from being edgy, guerrilla marketing has become popular among many start ups simply because it is a low-budget, yet effective way to generate visibility and increase exposure of a business. If you have not really tried it out just yet, here’s why it is worth trying in your marketing. Engaging into guerrilla marketing will make your business stand out from everybody else. In fact, you will even have a distinction and recognition from your competitors. This is excellent when your goal is to be successful in a market or industry when almost everyone basically has the same strategy. Guerrilla marketing will help you become unique and it will set you apart from the rest. If you adapt traditional marketing, you will only sound just like the rest and you will be straightforward and direct just to convince people to buying. This is not at all times very effective because many people refuse to be manipulated. With guerrilla marketing, you are still marketing your products in a subtle way that customers will actually not know that you are selling. Guerrilla marketing should be worth it because of the fact that it is simply inexpensive, compared to the big budget that other companies allot for their advertising. In guerrilla marketing, you just need anything that you can afford with your small budget like stickers, graffiti, and anything that will just make your brand known to the public. There is no better way to reach and appeal to your target audience than by coming up with a media that is creative, well-crafted, witty, and imaginative. If you are able to create this kind of guerrilla marketing strategy, your brand will be easier to remember and although it will not create your success in an instant, it can easily get viral through social media posts, word of mouth and through other channels. But in order for you to be successful at this, you will also have to do a great deal of research. Guerrilla marketing is not your typical and traditional way of marketing. In fact it can be very exciting because it gives you an opportunity to unleash your wit, creativity and imagination. It could be a bit challenging but it is worth the effort. With guerrilla marketing, you have all the freedom to use all the visual space, and even words, in your ads. You will not have to adhere to a certain set of standards. You have the liberty to showcase your brand however you want it. You have the freedom to use your own voice in unique, engaging ways attractive enough for your target audience. A successful guerrilla marketing stunt can go a long way. It can go viral online and that will significantly increase your exposure and visibility, most especially to your target audience. The good news is that it will not just stop there, because once you go viral, people will just keep on sharing it on various social media platforms. It’s like becoming popular without even spending a lot. This strategy could even be a lot faster than any other marketing strategy. This may not be easy to achieve because it takes a lot of brainstorming, time and effort, but it will all be worth trying and it will all be worth it in the end. There’s just a whole lot of possibilities with guerrilla marketing, and they are just waiting for you to uncover them.